In a slow cooker, add corned beef, garlic, shallots, caraway seeds, and Edmund Fitzgerald Porter. Cook on high for 7-8 hours. Let meat cool, then shred meat with a fork. In a large oven-safe dish, add a generous layer of tortilla chips. 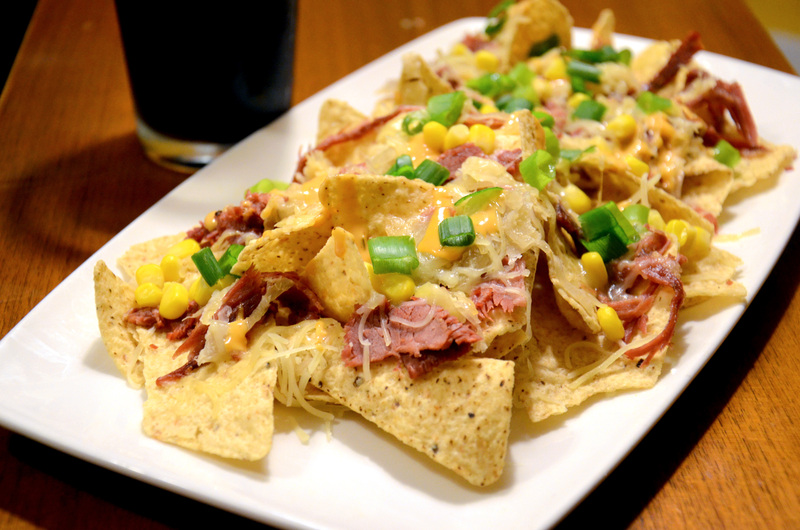 Top with shredded corned beef, roasted corn, and Irish cheddar. Bake in oven for a few minutes at 350 degrees, or until cheese is melted. Top with Gold Thousand Island dressing and garnish with green onion.